It is not often that one gets to uncork and drink one of wine’s undisputed treasures. 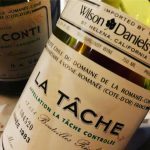 When a friend recently shared a 1983 La Tache from the mythical producer Domaine de La Romanée-Conti, I wondering if I was up to the daunting task of unleashing this priceless wine. See the video to see how it went. 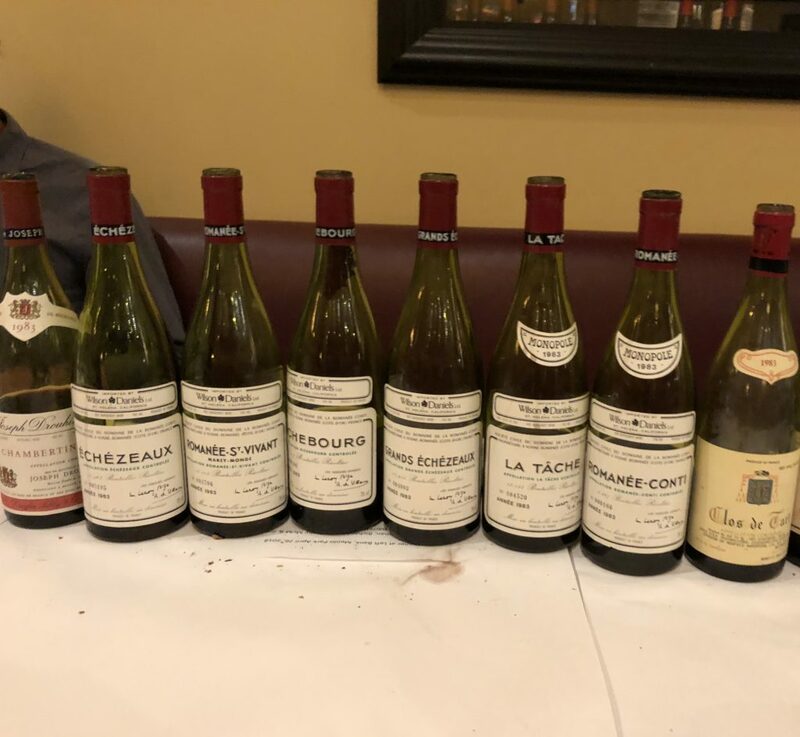 The rest of the wines this night were equally stunning, and most were from 1983, including the entire red portfolio of Domaine de La Romanée-Conti, 35 years in the making. 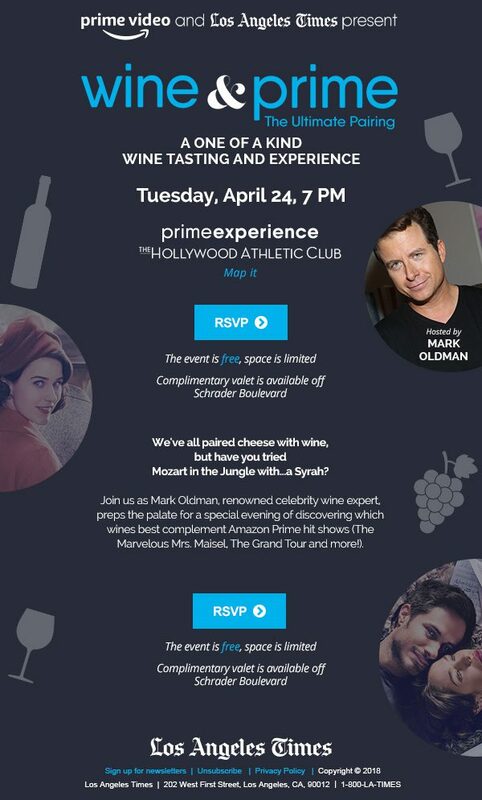 What wine matches with “The Marvelous Mrs. Maisel”? What grape goes with “”The Grand Tour? 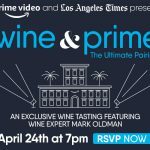 Join Mark Oldman on April 24th, 7pm, at the Hollywood Athletic Club where he will pair wine with Amazon Prime Now’s hit shows, including “Electric Dreams,” “Mozart in the Jungle,” “Long Strange Trip,” “The Grand Tour,” and “The Dangerous Book For Boys,” and “The Marvelous Mrs. Maisel”. What do Nike founder Phil Knight, a former US Ambassador to Russia, the current CEO of the Girl Scouts, and Yahoo Cofounder Jerry Yang, and Mark have in common? 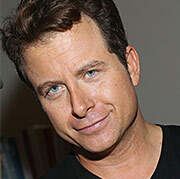 They were all recently featured as “Stanford Pathfinders” on this new SiriusXM show hosted by Howard Wolf. Mark discusses how he got his start in wine, how to order wine in a restaurant, why he advises drinkers to engage in “vinous promiscuity,” and a slew of other intoxicating topics. 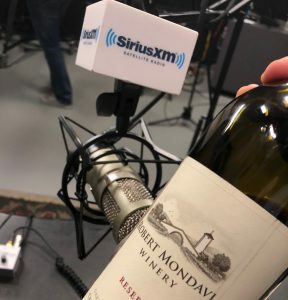 He and Howard enjoy a bottle of Cabernet Sauvignon Reserve from Robert Mondavi, the late wine pioneer himself a Stanford alumnus (class of 1936, a very good year for California wine). 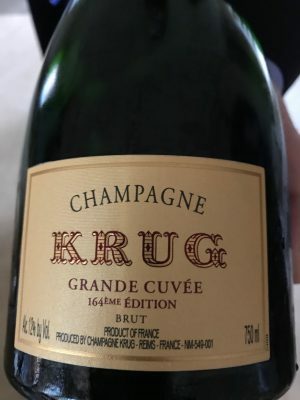 One of the best Krug GC’s ever: pure, apple-raisin-hazelnut complexity, deeply flavorful yet airy, with a bright, endless finish. Ready to savor now, but has the energy and acidity to improve for decades. In September I sat down with Olivier Krug, the sixth generation of the foun ding family, and he told me that his favorite all-time pairing was Krug rosé with roast pigeon during a trip to Singapore. It is not a necessity, however, to enjoy such regal Champagne with elaborate food. Olivier also remembers Krug Grande Cuvée harmonizing beautifully with a simple hamburger. He revealed to me that Madonna is partial to Krug rosé with french fries, as confirmed in this tweet from the Material Girl’s official account. 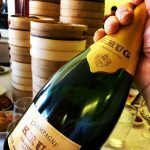 For me earlier this week, a bottle of it was the ultimate uplifting co-conspirator with towers of plump, glistening har gow, porky soup dumplings, and other dim sum at New York’s Dim Sum Go Go. In my most recent book, How to Drink Like a Billionaire, I shed light on the little-known ritual of a “Champagne baptism,” which involves wetting a baby’s lips with drops of special Champagne, a Champenois tradition that Olivier’s father, Rémi, had once described to me. When we met, Olivier added more color as to how to make this chic procedure a success. His advice is to take to the hospital to two half-bottles of Champagne: one to use to dab the newborn’s lips, and the other to bribe the nurse into letting you do it. A swirl of lemon and fresh flowers emanate from the glass, followed by suggestions of ginger, pastry, and spice. Its blend of grapes dominated by the grape Chardonnay, the taste is smooth and bright, with a citric snap that shades slightly smoky on the silky, persistent finish. As I have emphasized in my books, and as both Olivier Krug and Perrier-Jouet’s cellarmaster Hervé Deschamps have stressed to me, it is no longer preferable to use a thin, flute-shaped glass for your Champagne. While a regular wine glass (or a slightly more narrow white wine glass, if you have it) won’t showcase the bubbles as prominently as a flute, it will however provide more surface area to swirl and sniff your precious bubbly and also obviate the need for special glassware. Last year at Art Basel Miami, I had the pleasure of hosting a Champagne master class with Perrier-Jouet’s Deschamps. Here the debonaire Deschamps demonstrates how you should “puff,” not pop, open Champagne to minimize bubble loss. Note that he is using a fine bottle to demonstrate: a 3L of Belle Epoque Rosé. 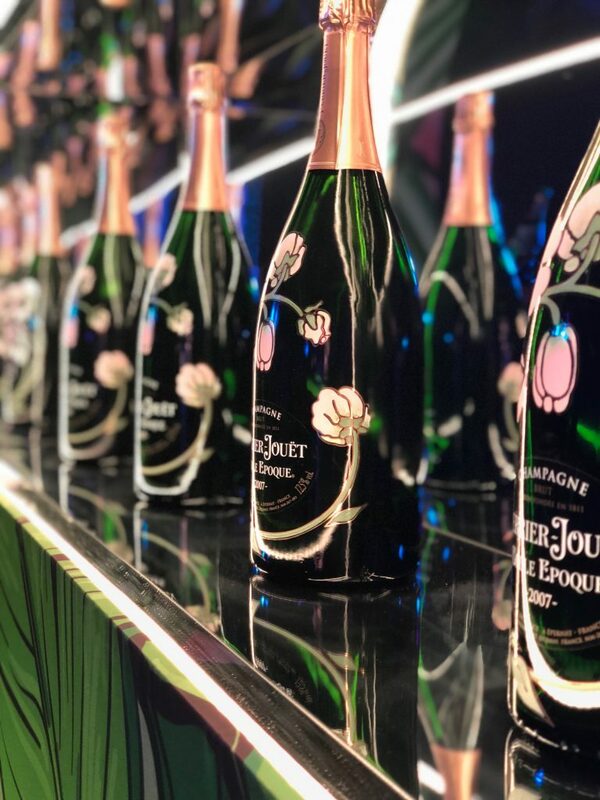 At this year’s Art Basel Miami, Perrier Jouet’s Eden Ball featured a private, six-song set by English singer-songwriter Ellie Goulding. She was at once ethereal and brimming with verve, herself the personification of fine Champagne. I captured this video of her performance (and you Royal watchers may notice Princesses Beatrice and Eugenie in the background cheering her on). Like a bracing spoonful of fruit salad, this all-Chardonnay sparkler delights with notes of citrus fruits and juicy apples, joined by the subtle scent of baked bread. Delicate, racy, palate-cleansing bubbles add to the overall feel of freshness, its feathery, zesty personality all but demanding the presence of a tower of glistening shellfish. Italian bubbles, but not our old friend Prosecco? Sì, this is a less-known category of traditionally-made bubbly from Italy’s northern, hilly Trentino region called “Trentodoc“. Even many experts have little familiarity with Trentodoc, so casually peppering this designation into your New Year’s Eve banter will make you seem like a high priest of wine knowledge. Despite being a luxury good from Italy, Ferrari – the winery of Trentino – has nothing to do with the maker of pulse-quickening supercars of the same name. Although if you dare to saber your bubbly, your pulse will pound all the same. Speaking of luxury, Ferrari also makes an elevated offering named after for its founder, Giulio Ferrari. For me it rates as one of the world’s best sparklers, on a par with even the finest Champagne. When I served the 2005 Giulio Ferrari Riserva del Fondatore ($125) at Thanksgiving last month, my guests moaned over its creamy, marzipan-like, honey-and-smoke personality. another gem I broke open for Thanksgiving: Giulio Ferrari Trento Riserva del Fondatore, made in the traditional method…. A raise of the chalice  to you for 2018. May you drink like a billionaire at every price.